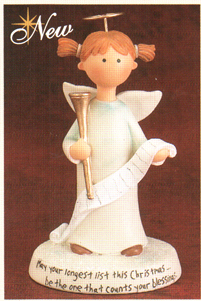 "WILLOW TREE" ANGELS- CLICK HERE! 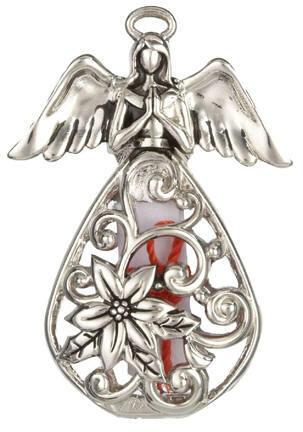 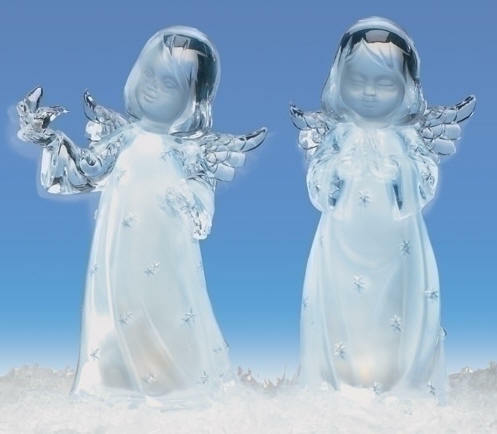 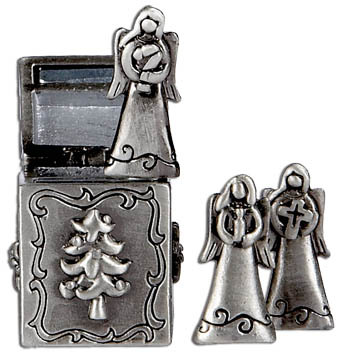 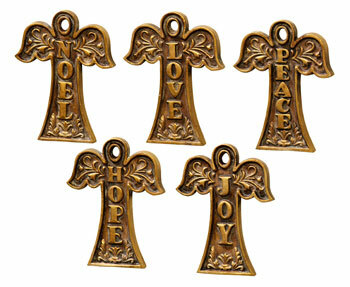 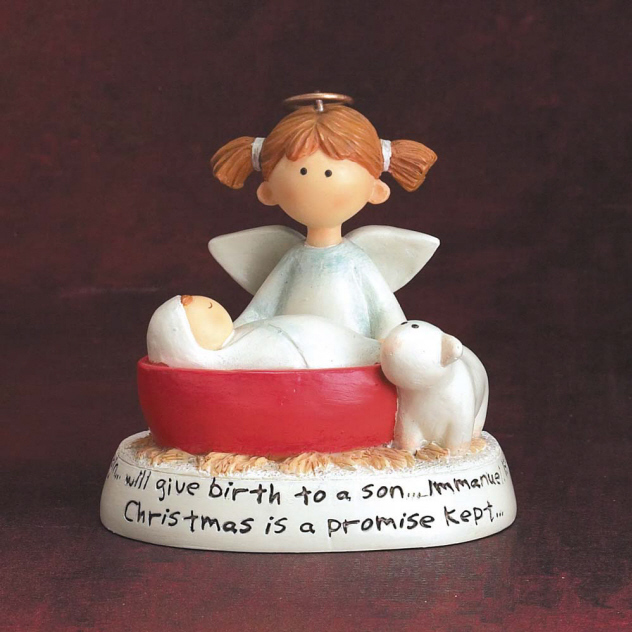 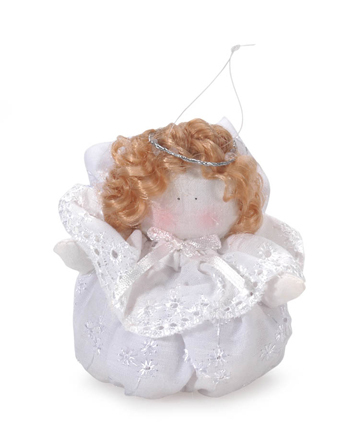 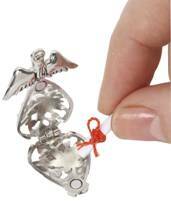 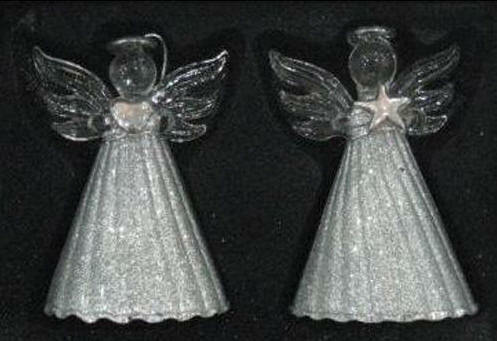 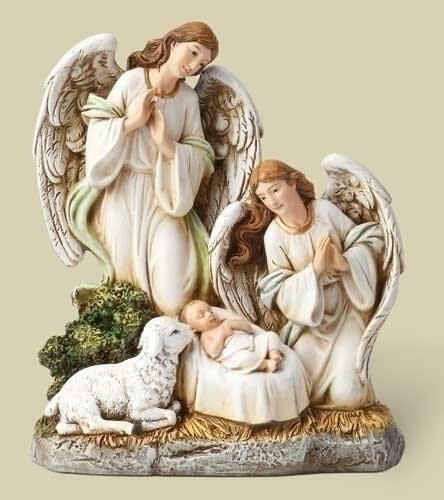 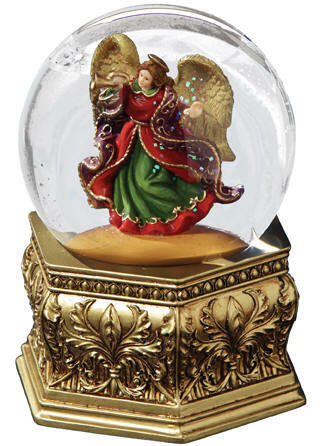 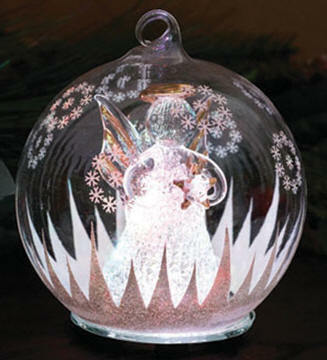 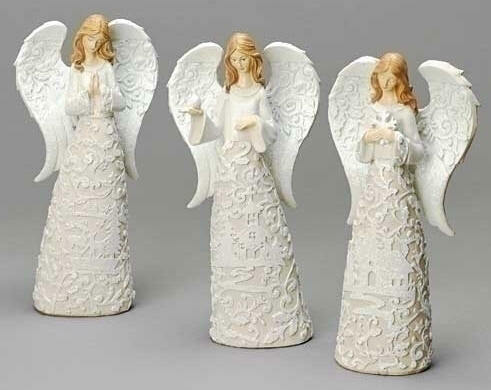 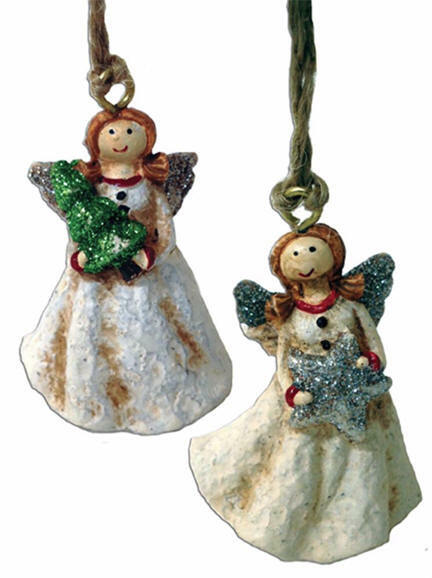 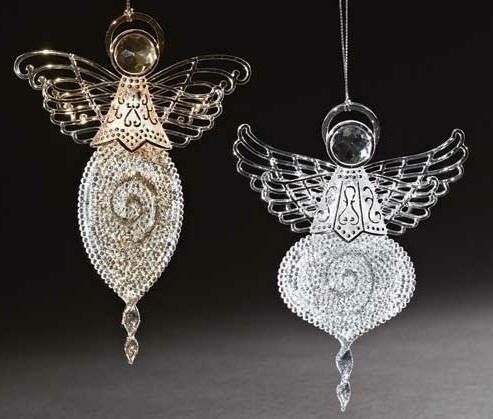 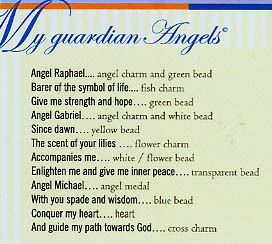 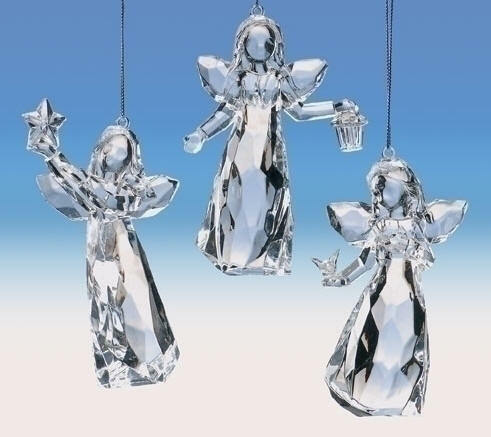 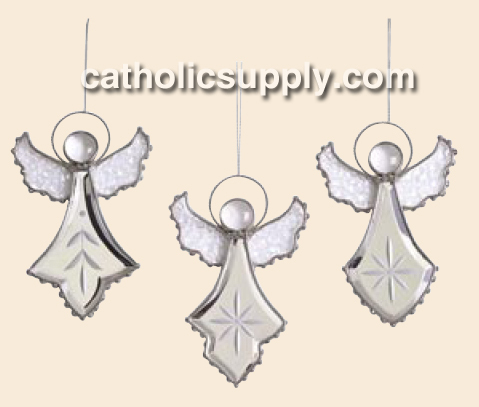 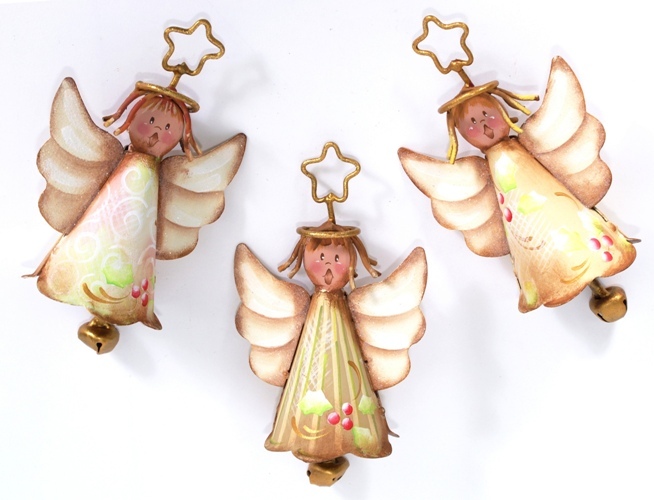 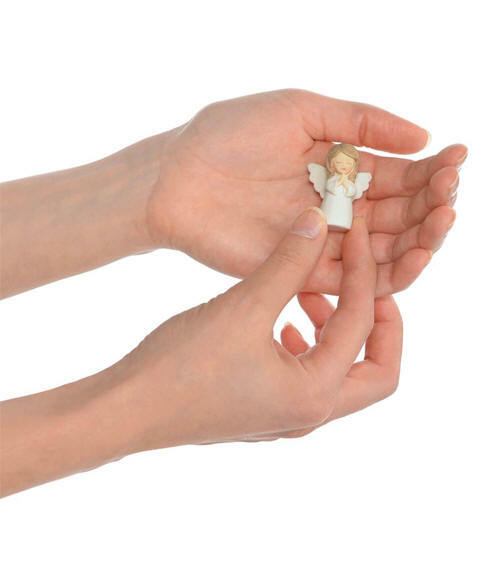 These angel ornaments are sold assorted and will ship based on availability. 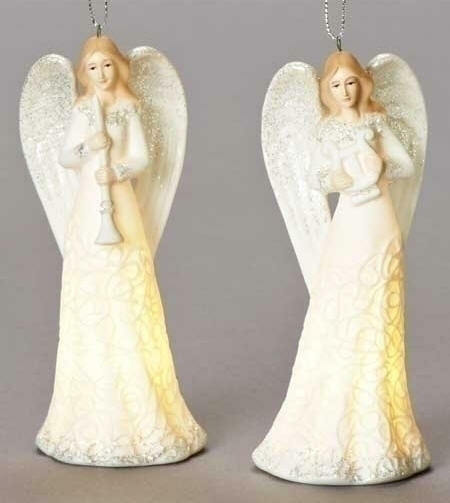 Prefer a certain style? 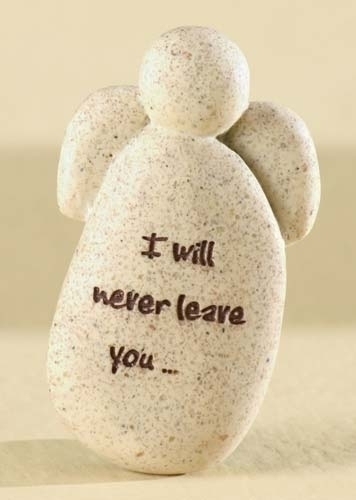 We'll try our best to accommodate your request. 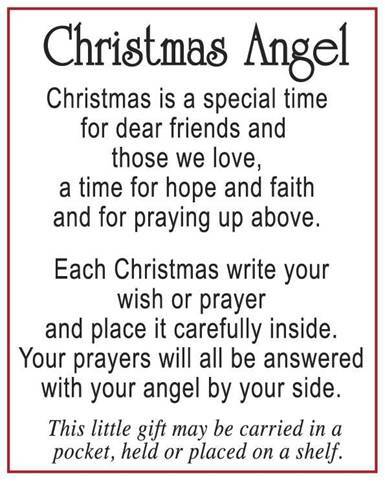 Please note your preference below. 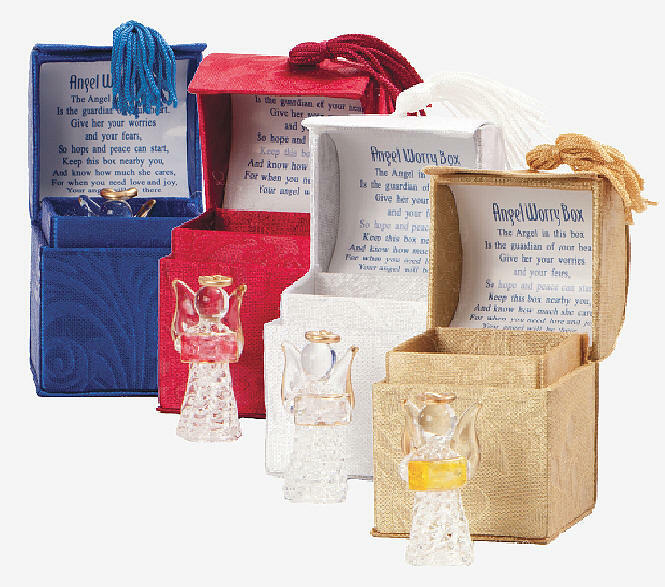 If your preference is unavailable, please allow us to choose for you. 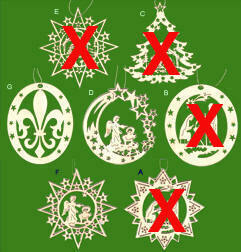 Sold assorted, please allow us to assort the colors for you. 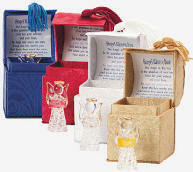 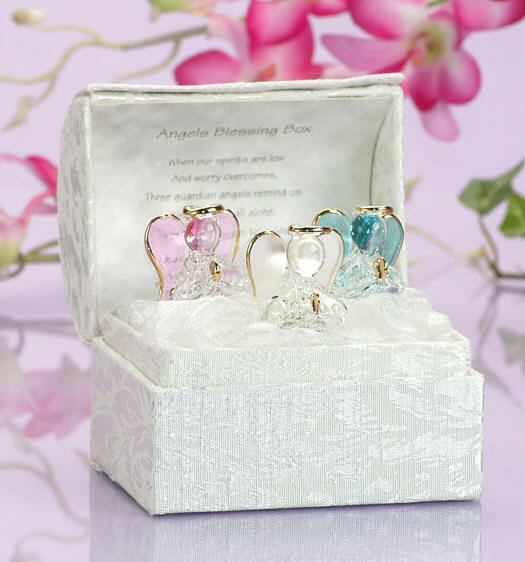 The Angel in this box is the guardian of your heart. 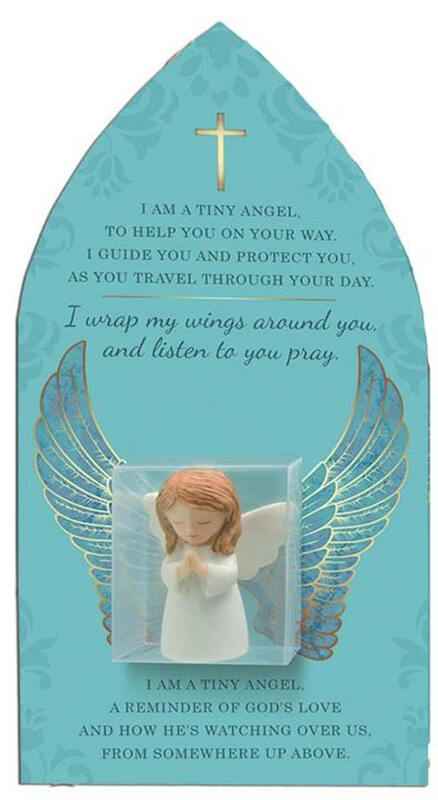 Give her your worries and your fears, So hope and peace can start, Keep this box nearby you, and know how much she cares, For when you need love and joy, Your angel will be there. 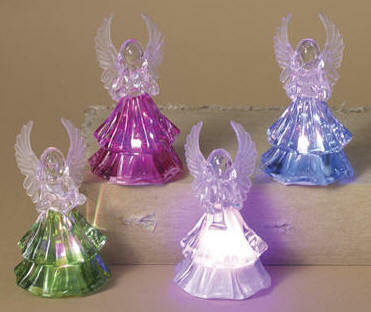 Colors vary and come assorted, please trust in us to select the color/s for you. 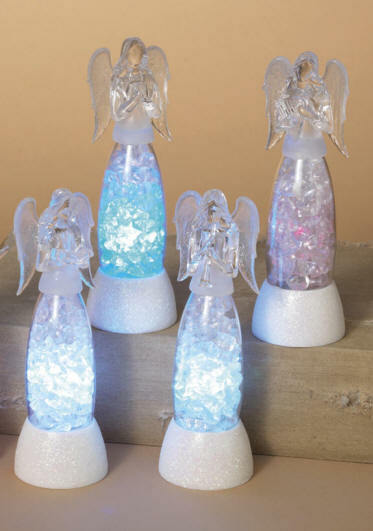 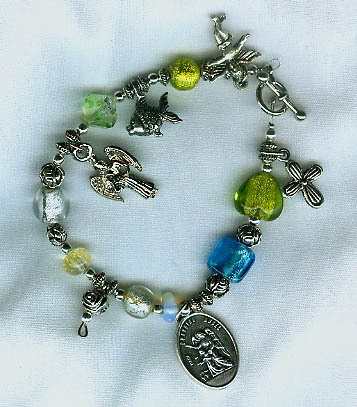 We are confident you will be pleased with these little angels for the price. 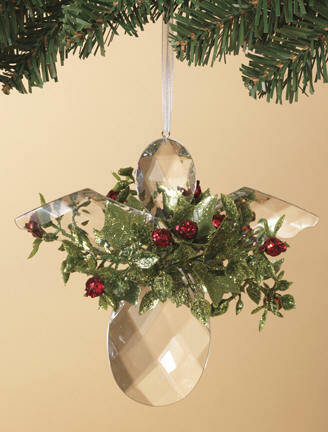 5” tall with clear acrylic gemstone design and holiday greenery. 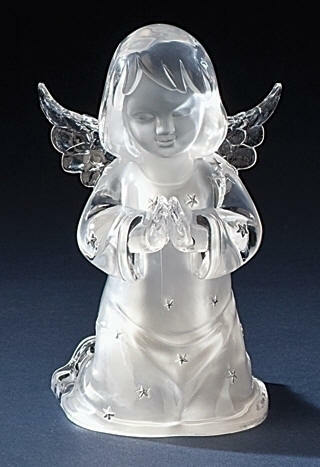 3” tall with clear acrylic gemstone bottom to pick up and reflect all the colors of surrounding light.